Polyester lanyard is our company’s most popular lanyard style, which offers the best balance between price and property of any lanyards. It is the identical process used to print on silk screen printed lanyards, can ensure that the product details shows very clearly. 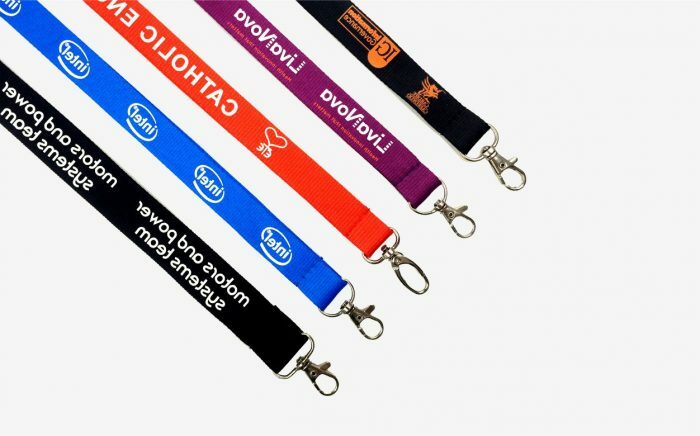 This is the most prevalent type of lanyards, and offer clear details and designs. Our lanyards are all custom produced to suit your requirements and come with whatever clips and accessories you demand. All are affordable price point. Don’t forget we offer a FREE Virtual Preview of the finished product to guarantee you are 100% satisfied with the design before we click the production button, it is about 7-10 days to ship your lanyards and delivered to your door. 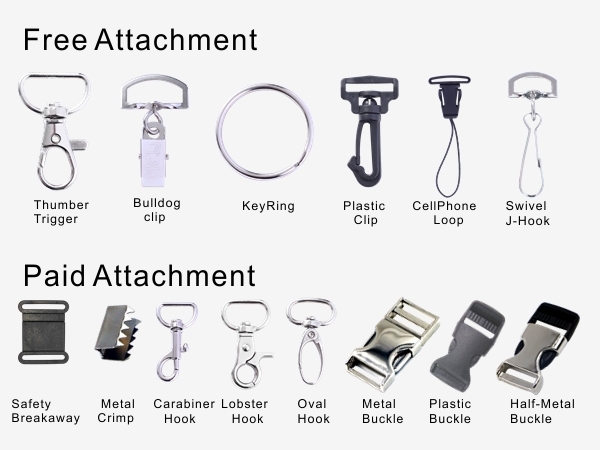 Polyester lanyard offers a wide range of free attachments as well as optional paid attachments. When choosing the attachments for your custom printed polyester lanyard, do not forget the security lanyard and lanyard attachments. These lanyards are specially designed for safety and there are variety of combination between polyester lanyard and accessories that you can create. Our polyester lanyard offers a superior quality soft polyester materials with your text or logos imprinted in top unlike other printed lanyards, your text is directly into the polyester lanyard. 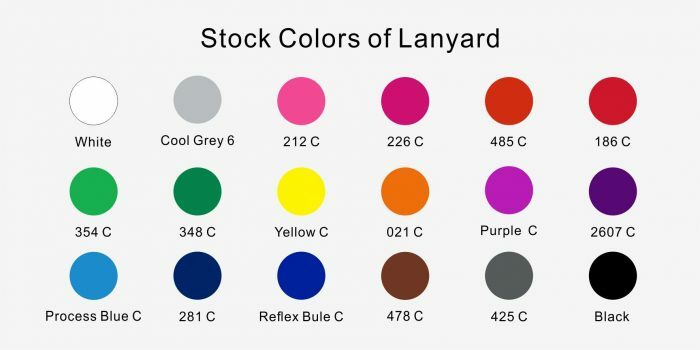 Polyester lanyard is available in various colors and with any fitting these promotional lanyards can be printed to meet your requirements which is the perfect material for printing your logo or message. This producing process provides a cheap price, high-quality product and excellent guarantee that can be adapt to a variety of situations. The high-quality silk-screen print makes it completely customized, allowing you to add any text, design or logo. Polyester lanyards are comfortable to wear and well-printed image quality, all at an economical price. We use a silk screen printing process which is high quality in our industry. It is one of our most popular style of customized lanyards. They are available in widths of 3/8’’, 5/8″, 3/4″, and 1″ widths at a standard length of 36″, as we are BSCI lanyard factory in Fuzhou and there are 42 stock colors you can choose. By the way, there is NO MOQ in our factory!